On Friday 22nd of February 2019, we had a visit from Mark Tami (MP for Alyn and Deeside). During his visit, he met Pristine one of our cats looking for her forever home. (seen with Mark below), Pristine has been recovering well from surgery to have an air pellet removed from her jaw. 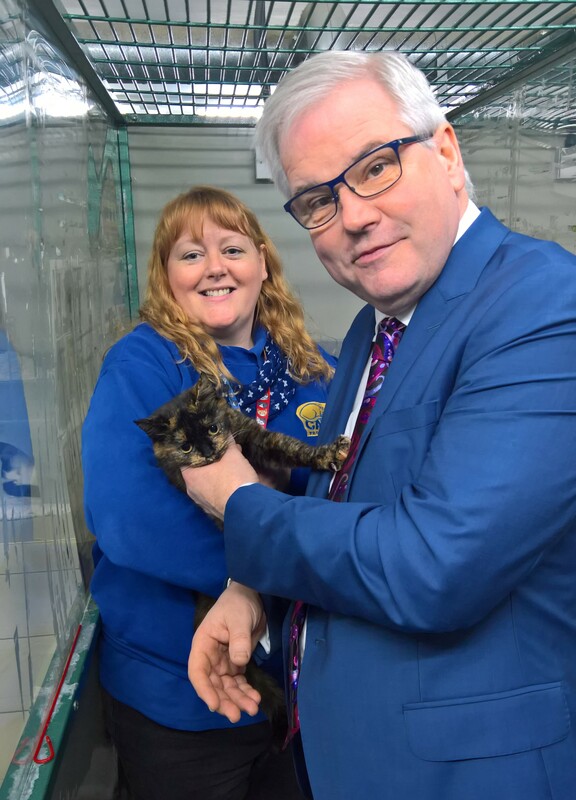 We spoke to Mark about Cats Protections Advocacy team’s current petition to try to change the law concerning air gun ownership. Cats Protection is calling on all Members of Parliament to support the introduction of licensing air guns in England and Wales. Thank you Mark for coming to visit the adoption centre. It was great to meet you.